Picture being able to tackle Prince Edward Island’s (PEI) streets in a stylish compact hybrid that can save you money on fuel. At Charlottetown Toyota in Charlottetown, Prince Edward Island (PEI), we house a vast array of new Toyotas in stock for motorists to test drive including the 2015 Toyota Prius. Our dealership is one of Canada’s premier Toyota dealerships and has served PEI for a number of years. Visit Charlottetown Toyota at 1 Superior Crescent and explore a new Prius today. There are a lot of great options in the compact hybrid segment, so let’s see how the 2015 Toyota Prius does when facing against the Chevrolet Volt. The first thing you’ll notice about these two vehicles is the price difference. Both vehicles may be classified as compact hybrids, but one will save you a lot of money in the initial purchase. The Prius starts at $26,305, while the Volt starts at $40,095 before any tax rebates. That’s an astonishing difference of $13,790 in favor of the Prius. 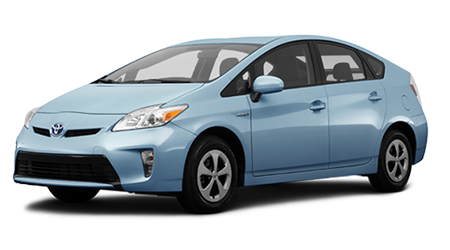 With the Prius’ affordable price tag, you can get into a vehicle that can save you a lot of money in the initial purchase. Besides being able to save you money on fuel, both of these vehicles can also provide you with a comfortable ride. However, if you value having a vehicle that has a large amount of interior space, then the Prius is the better option. The Prius possesses more front legroom, rear headroom, rear legroom and front headroom than the Volt. In addition to having more interior space than the Volt, the Prius can also hold more cargo at 21.6 cu. ft. When it comes to getting into a compact hybrid that you can enjoy utilizing on a consistent basis, then check out the 2015 Toyota Prius. 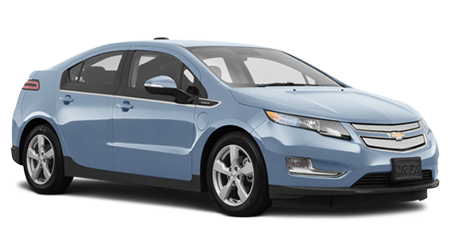 With the Prius’ more affordable price tag and spacious interior, the Toyota has the edge over the Chevrolet Volt. Come by Charlottetown Toyota in Charlottetown, Prince Edward Island (PEI) at 1 Superior Crescent and discover a Prius today.